Sometimes, good things take time and you never know what the future holds. That pretty much sums up my experience with M.J. Locke’s Up Against It (2011). Not taking time now, I want state right away that Locke’s book is not a slow book – in fact, the reader is immediately thrown into the distant future world of the asteroid colony Phocaea. Locke’s world-building is detailed, but not overwhelming, as she manages to balance the unknown with the familiar. 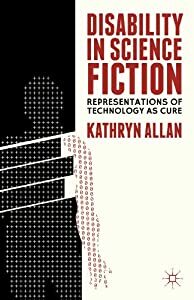 Up Against It is hard SF – and it is marketed as such – but it also contains many elements of the lesser appreciated and read (in the popular genre market) feminist SF. The central character, Jane Navio, is a strong, three-dimensional figure; she isn’t perfect, but she tries to do right by herself and by the community she serves. From the novel’s outset, there is a dance between the old and the new, what should be kept and what can be lost. A most fitting theme for both science fiction as a genre and for the place of the writer and critic within it. I probably would never have read Up Against It if I had not met Locke herself at the last WorldCon in Reno, where she kindly gave me a signed copy. You see, I didn’t know that M. J. Locke existed. I only knew of Laura J. Mixon, writer of such great feminist SF books like Glass Houses (1992), Proxies (1998), and Burning the Ice (2002). Proxies was one of the four texts that analyzed in my dissertation and I was presenting on it at WorldCon where Laura surprised me by attending my talk (a new PhD’s worst/best nightmare scenario). I was apprehensive at having her there at first – since I was critically reading her use of gender and race – but her presence in the room was distinctly positive, leading to one of the best discussions I’ve had about the representation of race in SF at any con. When she told me that she had a new book out, I was excited. I truly enjoyed Laura’s earlier work and wanted to get my hands on this latest novel (as it had been nine years since the Burning the Ice). Laura kindly gifted me a hard cover copy and I promised to read it right away (I didn’t, but I’ll come back to that). When I read the promo line on the cover, George R. R. Martin proclaiming, “Fans of hard SF will eat this up and shout for more,” my first reaction, in all honesty, was one of disappointment. After a few unfortunate encounters with hard SF that was overly masculine and pedantic, I don’t normally read the subgenre and even avoid it. I like SF that questions and challenges the “whys” and “ifs” of technology, not the SF that describes worm holes and lasers in mind-numbing accurate detail. Putting aside my prejudice – this was a book by the writer of Proxies after all! – I began reading and by the time I was done the first twenty-pages, I recognized the feminist SF writer that I admired from her earlier works. Laura J. Mixon wasn’t entirely transformed into this strange new hard SF writer, M. J. Locke, she was presenting herself differently. I am totally fine with that choice. On her website, Feral Sapient, Locke writes about her decision to change her byline and the effect it had on some of her long-time readers (read the essay, “Hidden Bouquet”). She worried that readers would feel that: “by choosing a gender-neutral byline, I prioritized my own success [as a writer] over my commitment to my fellow women in SFF and science.” She then goes on to say that: “We face a headwind, we women in technology and science. I tried to meet it head-on, on my first go-round. I got knocked back on my heels. Hard. This time I decided to try a different tack. Quite literally, I’m tacking against that headwind. It’s a gamble. We’ll have to see.” As a fan of the work of Laura J. Mixon, I was a bit sad to see her distance herself from that byline. But as a fellow feminist and human being who has also faced challenging times and reinvented myself, I can empathize with Locke and, in fact, applaud her for defining herself as she sees fit. She dared to step away from the comfort of the familiar and make herself anew in an uncertain future. And this is very much the journey that plays out in Up Against It. I am not comparing the writer with the character, as those kinds of assessments are misleading and inaccurate, but I cannot help but read the same kinds of human stresses and gambles being played out in the novel. This is the feminist heart of Up Against It. Yes, there are impressive nanotechnologies, asteroid mines, space scooters, and AIs, but those technological elements do not rule the narrative. Instead, it is the struggles of the people within this future society that capture the reader’s attention. When Jane Navio faces the ethical dilemma of how to deal with an emergent life form – the feral sapient – I too wondered, “What would I do? What do I value as life?” Locke provides no easy answers or solutions, but offers us ways in which we can cope with life-alter(nat)ing change. We can, like Jane, return to our communities and redefine our place within them, or we can, like the feral sapient, emerge brand new and unfettered by what has gone before. I realize that, for a book review, I haven’t really talked that much about the actual book. Well, it’s because I’m still thinking over the narrative and working out its successes and frustrations. I read Up Against It over 8 long months. I was slow, not because I found the book lacking in anyway, but because its very existence came into my awareness during my own transformative moment of leaving academia and becoming an independent scholar. When I went to WorldCon last year, I was scared. I felt like an outsider. And suddenly, I connected with one of the writers whose novels helped me get through some of my darkest times. Accepting M. J. Locke meant accepting that everything that had come before is indeed passed and gone. That people change. That I change. Science fiction is about the present world and where it may lead us. Up Against It reminds the reader, “This too shall pass.” Yes, it’s a gamble. We’ll have to see.